Carpet Cleaning Philadelphia is an outstanding carpet cleaning firm, when it comes to commercial and residential cleaning; we are dedicated, and experience in various cleaning services and our service are quick, convenient and hassle-free. We set the high standard in high-quality carpet care. 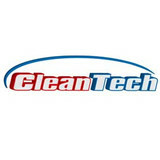 Our entire technicians are well experienced and dedicated to hard work in cleaning and repairs. Our cleaning service extends beyond residential and commercial cleaning of upholstery, carpet, rugs, oriental rugs and 24 hours water restoration emergency. With national coverage, which includes more than hundreds of locations in 40 states, our vans offer state of the art cleaning equipment, highly trained technicians, and 24/5 response time to your doorstep. We offer both restoration and construction — meaning one team can handle the entire project from beginning to end. You won’t have to worry about keeping up with several contractors. At HOW Restoration, we do it all. Our team has the expertise necessary to make the damage restoration process as smooth as possible. HOW Restoration and Construction is your one-stop-shop for property damage – you work with one team instead of a handful of different contractors. Our team members maintain a combined 40 years of experience and have worked on several notable projects during Hurricane Sandy cleanup, including water damage restoration for the United Nations headquarters, as well as hospitals, schools, and different buildings on Wall Street. In 2016 alone we’ve worked on over 50 reconstruction jobs. 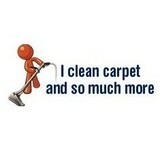 Certified Green Team is a carpet cleaner / carpet cleaning service serving the Philadelphia, PA area. Services include Carpet Cleaning, Air Duct Cleaning, Area Rug Cleaning, Carpet Stain Removal, Commercial Carpet Cleaning, Upholstery Cleaning, Sofa Cleaning, Hot Water Extraction, Steam Cleaning and Odor Removal. Carpet Cleaning East Norriton PA is the leading carpet cleaner that offers advanced carpet cleaning and upholstery cleaning services in Norristown. Our main goal is to provide you with the best solutions for cleaner and healthier life. Some of our most popular services include: Carpet cleaning - we return the carpeting to its previous marvelous look. Our professional and knowledgeable technicians use top of the line equipment with safe, eco-friendly cleaning solutions for the ultimate in green cleaning. Area rugs, oriental rugs, Persian rugs - we treat your valuable rug like it's our own and provide safe cleaning and a long-term result, either in your home or office or at our rug facility. Ask about our free pickup and delivery! Re-fringing and other specialty repairs also available. Upholstery cleaning - we have all kind of solutions whether your upholstery is microfiber, canvas or leather, we’ll get you the same result, you desire. Also, there’s a line fabric protection to keep your upholstery looking great after the cleaning. Pet odor and stains - safe solutions to restore and protect your carpet and upholstery. Ceramic tile and grout cleaning - we use professional equipment to remove stains and flush out unseen contaminants to restore your tiled floor to its former glory. Water damage restoration - our emergency experts will provide quick help when your carpets and other furnishing got soaked. Qualified technicians will dry out your wet carpet fast to prevent serious damage. Wood floor refinishing - our hardwood floor refinishing service is always ready to remove dirt from the porous boarding, repair cracks and refinish to restore floor completely. HVAC and air duct cleaning - improve your indoor air quality and protect your health from harmful particles out of your air ducts and HVAC system. Call us for a free inspection to determine if air duct cleaning is right for you. What should I look for in a local Norristown carpet cleaner? Not all Norristown carpet cleaning companies use the same methods, but there are a few common things that they should do to for a quality job. Make sure they do an analysis on the area you need cleaned and recommend the best course of action — are there large stains or high-traffic areas that need extra treatment or attention? Also, make sure they provide quick drying times so that you can be back in your home faster; that means hours, not days! A good carpet cleaning service in Norristown, PA should move furniture (within reason) and put it back in place when they are all done; don't let them charge extra to do this. Another important factor to look out for is whether or not the carpet cleaners use chemicals, and if so, they should be asthma- and allergy-friendly. This is especially important for households that have children or pets. Lots of Norristown carpet cleaning services also clean rugs. Rug cleaning can involve anything from a simple wash to complete re-weaving or foundation work. Make sure the local rug cleaner you choose has experience with the types of rugs you need serviced, especially if they are hand-woven or Oriental rugs. 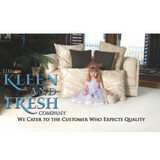 What should I look for in a local Norristown upholstery cleaner? Upholstery comes in many more varieties than carpet and rugs, thus needs cleaning tailored to each specific blend. Even if you don’t know what material your sofa or chair is made with, a good upholstery cleaning service in Norristown, PA will be able to identify it and treat it appropriately. Some textiles require dry cleaning and that can’t be done in home, so if that’s the case, check with the upholstery cleaner and see if they offer pickup and drop off services. Leather cleaning is a bit different and often involves more restoration and conditioning than actual cleaning. Make sure the Norristown furniture cleaning service specializes in leather if you are considering them for the job. 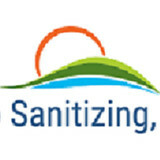 Find Norristown upholstery and carpet cleaning services on Houzz. Narrow your search in the Professionals section of the website to local carpet cleaners in Norristown, PA and read reviews and ratings to find one that fits your needs.